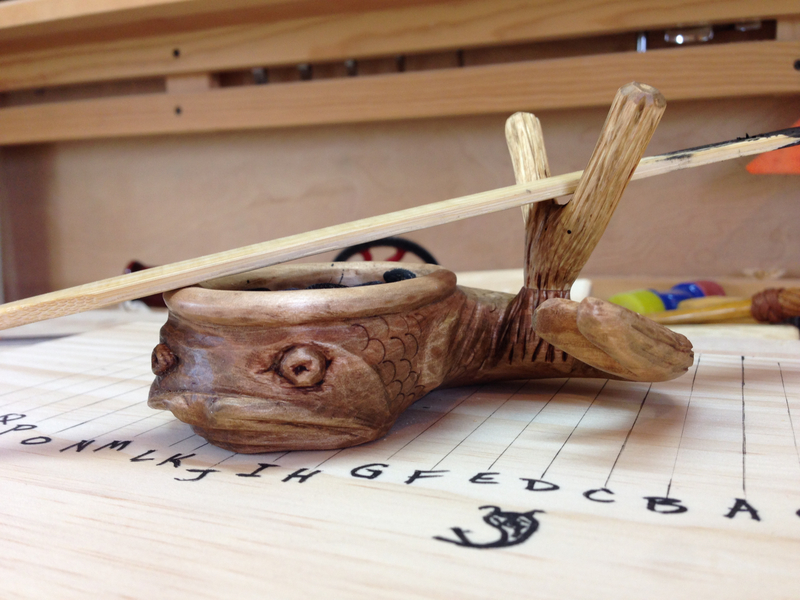 The sumitsubo, literally ink-pot, is a traditional Japanese layout tool. It works much like a standard chalk line except that it uses ink in place of the chalk and the line is made of silk. You can see several examples here. The video below is a demonstration the sumitsubo in use. My interest in the sumitsubo lies not with snapping long thin lines, but as an ink reservoir for the another traditional Japanese layout tool, the sumisashi. This is an ink pen made from bamboo. One end is shaped for drawing long, thin lines along a straightedge and the other is shaped for writing. I have wanted to try this method of layout ever since first reading about it in Toshio Odate’s book, “Japanese Woodworking Tools: Their Tradition, Spirit and Use“. The main reason I haven’t tried it yet is cost. A sumitsubo will set you back about $100. That’s a bit much for me to spend just to experiment. The ink and sumisashi are pretty inexpensive though. As I was researching the internet and reading articles about the sumitsubo, I discovered that it was traditionally made by the craftsman using it. Hey, I’m a woodworker. I should be able to make this thing. This first one will strictly be an ink reservoir. So no snap line or winding wheel. Maybe in the future I’ll tackle that setup. I can order the ink, silk wadding and sumisashi from Hida Tool. I started with a well-seasoned block of maple that has been in my shop for a few years and sketched out the general idea of what I want it to look like. I based the design on my logo, a stylized koi fish. 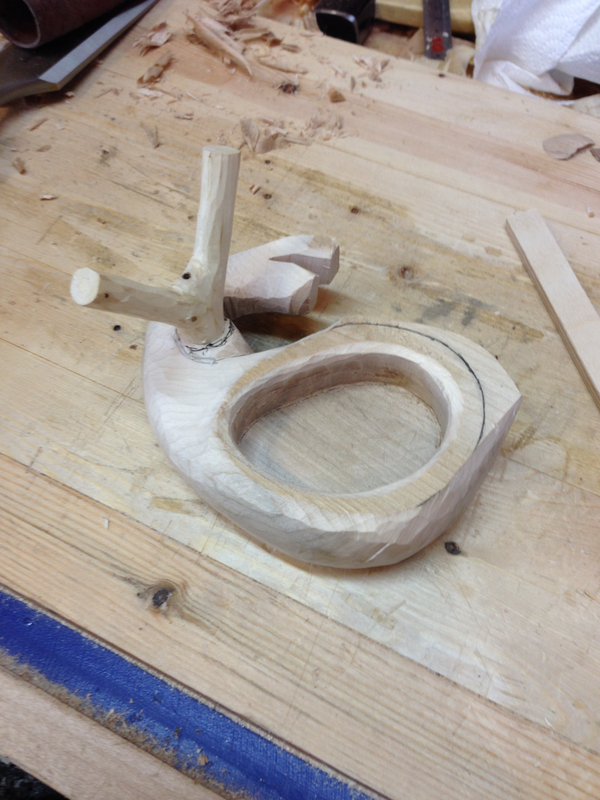 The overall shaping will be done with whatever gets the job done. Coping saw, bow saw, chisels, knife, rasp, files and sandpaper. I used a brace and bit to remove the bulk of the waste for the “pot”. 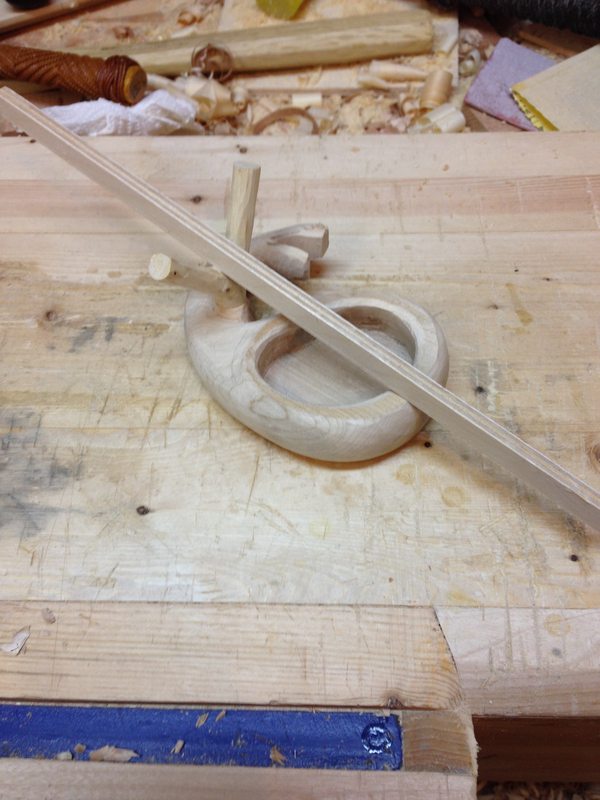 Followed that with a router plane until I had a depth that I was happy with. I then used a gouge to undercut the walls of the pot so that it will better hold the silk wadding. I wanted a stand to rest the sumisashi on while not in use. I’ve seen several videos where the sumisashi is stored in a traditional sumitsubo by resting it in the groove of the winding wheel. Since I’m not going to have a wheel, I needed to add some sort of rest for the sumisashi. My idea is to have the koi swimming around a twig. The twig will be the rest and is made from a piece of dry limb. I’ve not ordered my supplies yet but this piece of scrap plywood should give you the idea of what I’m going for. 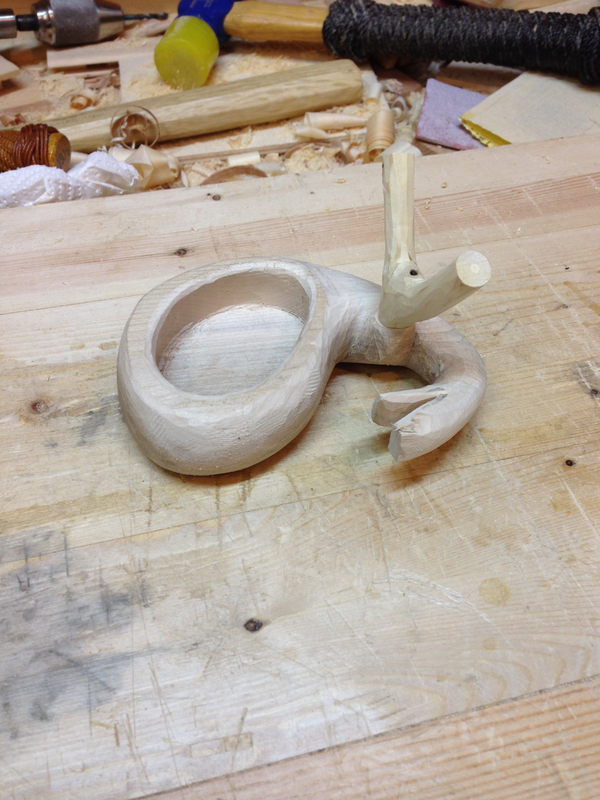 There is still quite a bit of shaping and detail work to do. But not a bad start. This entry was posted in 5-Tools, Sumitsubo-Sumi Pot and tagged ink reservoir, sumisashi, sumitsubo. Bookmark the permalink. This is great. I’ve thought I’d one day make one of these for the same reason too. Looking forward to seeing the finished result. Thanks Siavosh. Functionally it’s pretty much done. Everything from here on out is for style and pizzazz. It’s fun to build something that doesn’t require any precision fitting for a change. I’ve wanted to try this method of layout for a long time and I’m excited to finally give it a try. Hopefully I’ll have a functional and possibly a beautiful tool when I’m finished. We (people around the world) may have different languages, oceans and centuries apart, but when comes to hand work WE are more close than we think! I’ve used a chalk line in construction for most of my life. The big difference, other than the use of ink, is the level of accuracy. The line produced by the sumitsubo and the sumisashi are much finer than what can be produced with a chalk line. The Japanese didn’t invent this. It most likely came from China. The Japanese, however, refined the idea and are still using it. Several cultures have used the idea of an ink line throughout history. I recently read that the Amish use an ink line method when laying out barn construction. Tools may take on different shapes around the world but, yes, we are all essentially working towards the same end results. Crafting items from the materials around us. Perhaps You already know about it. Carry on, and all the best! What are the reported advantages of the ink over a pencil? I plan to go into the details in Part 3. But generally, the ink is much easier to see and doesn’t rub off. Neat project! There was another one on one of the Fora awhile back that also took the form of a fish; not sure if you’ve seen than one but it was also quite whimsical. I have one of the modern ones from Tajima, and while it works great it certainly lacks handmade charm. I think there is another name for a reservoir for sumi ink, but I can’t remember what it’s called.. Japanese carpenters use it for writing on the timbers, as opposed to marking. Theirs is generally smaller, has a lid, and I believe there is provision for carrying a brush along with/inside it. The modern version is basically a sharpie. I think I saw that version, he painted it black I think. Do you use the sumisashi with yours for layout? This will be a first try for me. Your right that this is really just a sumi pot and I think I’m going to change the title of the series. I have the bug now and will be building a full sumitsubo version complete with wheel pretty soon. The type you are describing is usually used with and actual brush. There is a description at the bottom of this linked page. 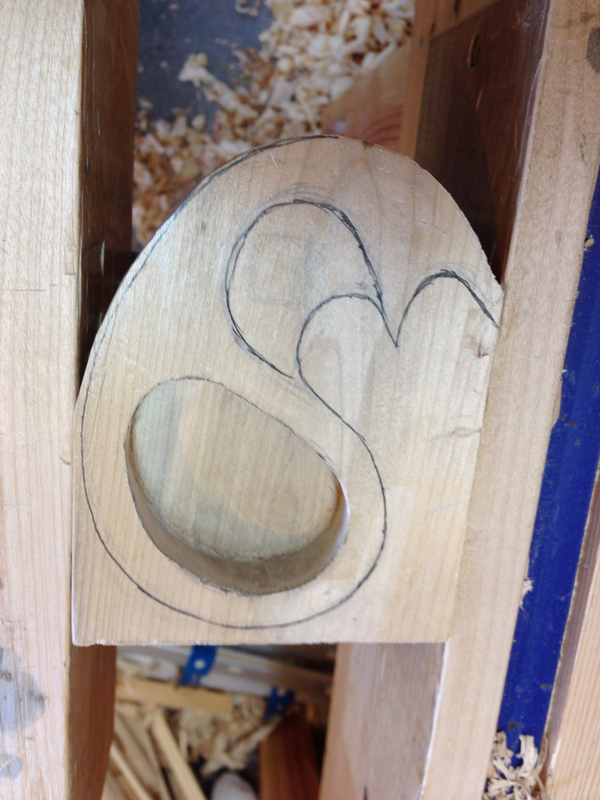 While I’m only a carpentry student, I try to use Japanese tools when doing Japanese-inspired work. I much prefer the fine line the sumitsubo produces to a chalk line, though the ink does require careful handling. I’m slowly working my way through Chris Hall’s materials, and have been using ink for that layout. If you watch many Japanese YouTube videos, they use the tools in a very specific way – there’s a convention of symbols and marks made with the sumisashi that (IMO) seem tied to a particular training and method of work. I’m not sure if I, as a Westerner with only the Internet and books as guides, can truly understand the intricacies of what’s going on. For example, in some of those videos, the person doing the layout can indicate complicated, multi-level, interlocking joinery with a few swipes of ink. I’m not sure me writing a big “X” on the waste part of a tenon is exactly comparable.. Finally, from a purely practical point of view, many of the benefits of ink layout can also be accomplished with fine tipped felt markers – and the look is quite similar without the mess. It’s doubtful that without a firm grasp of the Japanese language and an apprenticeship in Japan, that anyone could understand the layout marks used by the Japanese carpenter. However, I don’t think that makes the sumisashi some sort of magical instrument. It’s a layout tool. One end draws a straight fine line. The other end is for writing. I’ve seen videos of a Japanese carpenter doing the same layouts with a mechanical pencil. I decided to try the sumisashi because I have been using a fine point marker and a brush tip marker for layout. Removing and replacing caps and switching pens is a PITA. The sumisashi seems to be a more refined solution. How do you like Chris Hall’s study group? I’ve been emailing him about joining the study group but haven’t committed yet. 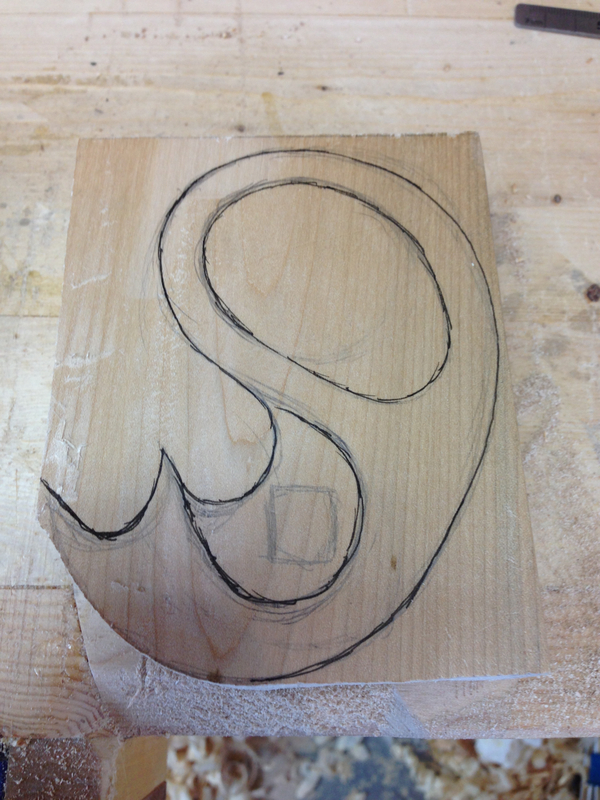 Are you doing drawing, joinery or both?